Alejandro is an instructor at Carleton University, a PhD candidate in Sociology with specialization in Political Economy, and a Vanier Scholar, the Government of Canada’s most prestigious international award for doctoral students. His areas of interest include (im)migration/diasporas, youth, and identities in Canada and Latin America, among others. 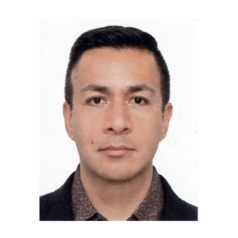 Alejandro has ample experience in migration and youth research, policy evaluation, teaching, and education management both in Canada and Mexico. His current research focuses on the experiences of integration and development of transnational ties among Mexican youth in Ottawa and Montreal. Alejandro is currently a Board of Directors member and Communications Chair of the Canadian Association for Latin American and Caribbean Studies. He was also member of the Advisory Search Committee for Vice-President (Research and International) and the co-chair of the Committee for Refugee Issues at Carleton University.